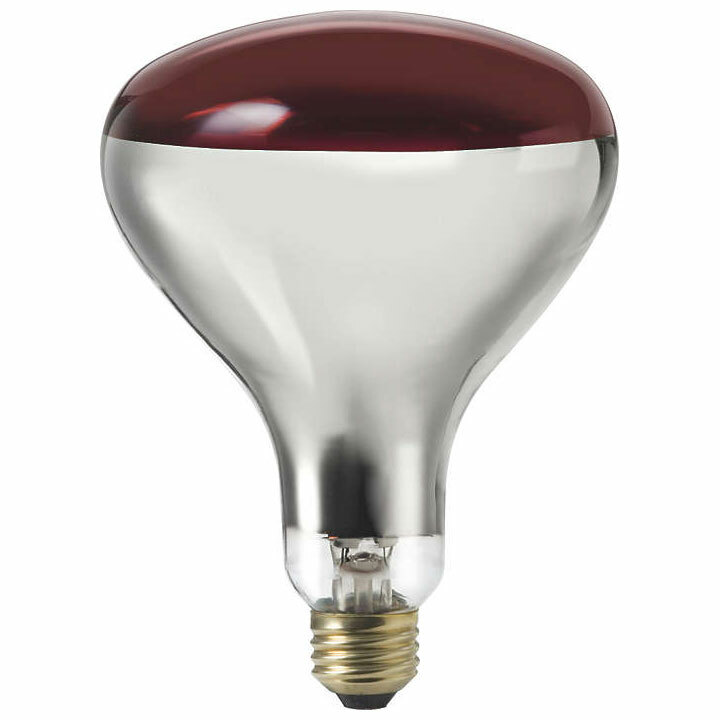 R40 shaped red incadescent heat light bulb with a medium base. Ideal for any indoor track lighting fixture or recessed can lighting fixture where warmth is needed. This heat floodlight lamp provides a comfortable, red glow and warmth using infrared technology. Life In Hours: 5000 hrs.